With so much stress and tension people are deteriorating their health immensely. They suffer from various diseases like diabetes, blood pressure etc. Hair problems too grow from stress and tension. Doctors have also said that increased stress many a times leads to hair loss and baldness. There are few do’s and don’ts listed below, which will definitely help you to keep your hair healthy and safe. The food you intake plays a vital role in your hair growth. Make sure that you take healthy diet. 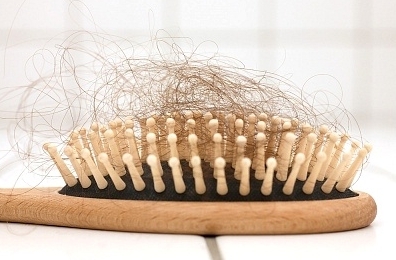 Lack of iron and vitamin B may be the main cause of your hair loss. So in order to avoid hairfall eat food which is rich in those contents. You can also eat Gooseberry or drink its juice to keep your hair in good health. People cover their heads with hats and caps in order to conceal their hairfall or baldness. Avoid the over use of caps as they might stress your hair even more and could result in increased hair loss. Neither over-do washing nor under-do it. Wash your hair twice a week so that they are free from dirt. This will also protect your hair from dandruff to occur. Thus timely wash of hair is essential. On the other hand if you are washing them very frequently, the scalp might become excessively dry and itchy. You might be in a hurry and getting late for the office. That doesn’t means that your hair will suffer of you being late. Tying or brushing your wet hair will make them weak. With wet hair all you can do is brush the tips instead of the roots. Wait till the time they dry of and then go ahead for brushing and various other hairdos. For superior quality hair and good hair growth it is advised by many practitioners that you should oil your hair at least twice a week. This will help your hair to strengthen and shine even more brightly. Stick with the natural look of your hair. Avoid using hair gels and various other creams on your hair. You may look good after applying them but in the long run they might result into various hair problems. Same goes with the hair styling equipment like curling rod, straightening iron, dryer etc. excessive usage of any of these gadgets may harm your hair in the upcoming years. Maintain the cleanliness among the hair styling tools. Don’t exchange the used hair brush with anyone. Clean your brushes and combs from time to time in order to avoid any kind of infection to occur in your scalp. Use HairMax LaserComb which is the only device proven to prevent and reverse hair loss. Above mentioned are few ways through which you can protect your hair and enhance their growth. Avoid the usage of chemicals and prefer to nourish them naturally. So what other tips do you follow for maintenance of your hair? Do share in the comments. Joe Anderson is a health advisor and a blogging enthusiast who has written various blogs on the diverse topics related to health, beauty, asset protection planning, investing, mortgage, borrowing and debt collection. He is presently working in providing people with an insight related to borrowings and legal issues related to beauty and health. Eat protein foods like eggs, nuts (meat if you can) since hair is made from it, massage your scalp every night and drink enough water a day. You can take vitamin E supplements for healthy skin, hair and nails or vitamin B12 which is important for hair growth. Do not wash hair every day, only wash it 2-3 times a week. Daily washing strips the hair of natural oils. To avoid an oily appearance, rub a dry shampoo into your scalp. Blast your hair with cold water at the end of a shower, which will seal the cuticle and make your hair more shiny. Do trim it 1/4 inch every six weeks. Dont brush it...ever! only comb.
. Never attack wet hair with a brush, no matter how rushed for time you are. Tangles in wet hair are best removed with a wide-toothed comb. Use a wooden comb if you can find one; it won't generate static electricity. Excessive blow-drying can damage hair in the long-term, making it brittle and causing split ends. If you can, let your hair dry naturally, then brush into place.